The Ledger. A dedicated bills planner. Order it here. As a new adult, this was a big challenge. From simply managing a small monthly allowance to buy food, I now had to think about other bigger expenses, like gadget installments and subscriptions, rent and utilities, and phone and internet bills, alongside my daily living expenses. While I struggled to find the most effective way to track my expenses and establish a working budget, life outside continued: I found a job, and for my first year as a working person, the bulk of my money went to food and travel. I enjoyed the freedom of getting to spend my money however I wanted to—perhaps a bit too much. At the end of that first year, I realized I didn’t have enough saved to be financially stable—and by ‘financially stable’ I meant having an emergency fund in place in case I didn’t have work or had an emergency to attend to. Clearly, something had to be done. It was tough to have to constantly police myself and my spending habits, but I knew I had to do it. For a while, I obsessed about using digital tools to track where I spent my money, but I soon found that mixing small and big ticket expenses didn’t really help me in assessing how to adjust my budget. Monitoring my spending digitally also made my data easy to misplace in the clutter of things on the internet and in my smartphone. There were too many things going on online, and all that distraction made it hard for me to focus on getting my budget done properly. My solution? Paper planner. Surely, there had to be something out there for me. I figured, if digital logging was too distracting, I was better off listing expenses and tracking my money using pen and paper. However, after going through several options, I struggled to find the perfect fit: Some had more features than I needed, while some had less than what I required. It also came to a point that mere tracking of expenses became a challenge in itself—the information was still cluttered, and it wasn’t clear in my lists which items were the priorities. Eventually, I came to realize a few things about what the solution was: First, I had to become more diligent about logging my expenses. And then, in the absence of the perfect tool, I also realized I had to make it myself. And so The Ledger was born. As a dedicated bills planner, it is meant to track big ticket expenses—my ‘non-negotiables’ such as rent, bills, and taxes. What sets The Ledger apart from the other planners is that it is more focused. This way it helps me oversee my balances and bills—all in one place, no distractions. I’m not tracking my Starbucks drinks or my food purchases here; it’s dedicated to just the most important things that I have to spend on every month. I divided The Ledger into 2 major sections—the first pages are devoted to masterlists of key numbers and payees, which serve as my main reference for everything money-related. 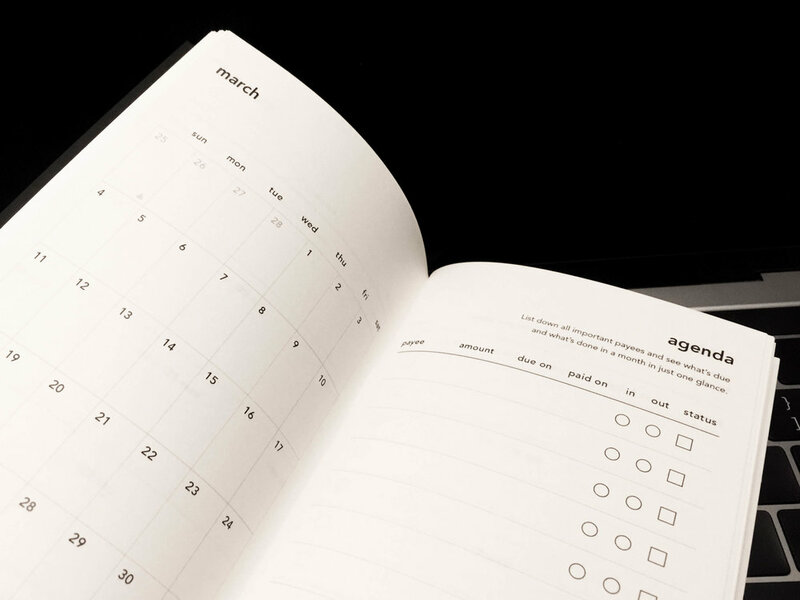 The second part is composed of monthly pages, which are divided into five sections: Calendar, Agenda, Cards, Balances, and Weekly Pages. 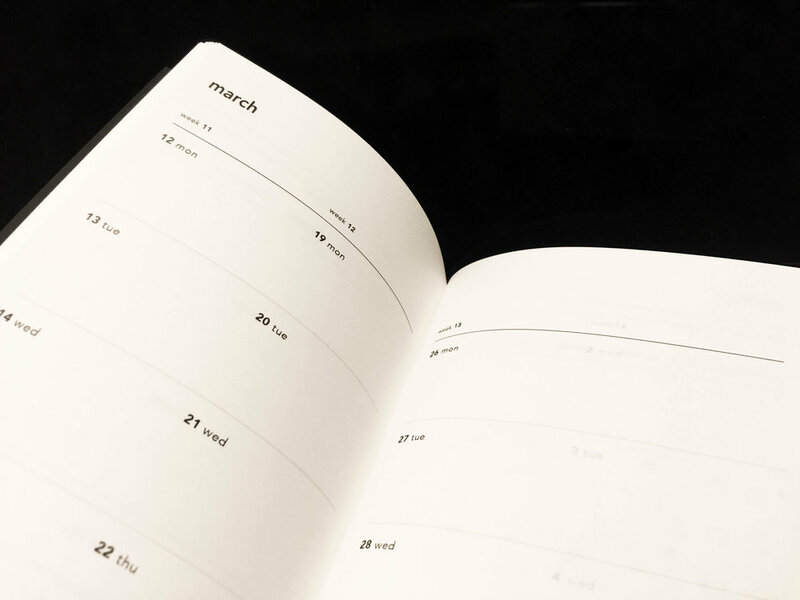 Having clearly defined portions ensured I knew what to focus on, and the pages were arranged in a way that made it easy to track dates and deadlines. For example, the Calendar and Agenda page are in one spread, making it easy for me to look at them and plan the rest of my life around the non-negotiables. This system has also made it easier for me to track how much money I need to set aside to pay for non-negotiables, and how much I can allocate elsewhere. Since implementing this system and using The Ledger, I have felt more in control about my finances. I am confident that I know where my money is going, what I’m spending it on, and that I’m spending it on the right things. Seeing where my money is going has served as my guide in adjusting my budget if needed. With The Ledger, managing finances need not be terrifying or daunting. The Ledger is a dedicated bills planner. It aims to be a single view of all big ticket recurring financial obligations. Aware that there must be others like me who would benefit from a tool that would help us save time, money, and effort, I decided to go ahead and sell copies of it. The Ledger is available for P450. I assure you it is worth the investment. Order it here. If you’re buying—thank you! I look forward to hearing from you, especially if you have thoughts on how to make this planner better. Sign up with your name and email address to receive news and updates about The Ledger and upcoming products of The Black Books.